Over the years we have seen thousands of digital and 3D prototypes. Early in the prototype design process, there are often important decisions made. Usually, these are made with the end user in mind, not the part manufacturer. This is a mistake. Of course, your end user must be satisfied with the product, however, it is wise to get expert advice on the design of your prototype before you have committed to a wasteful, inefficient, or problem causing aspect. This is where we come in. It’s highly advisable to get early vendor involvement in the process. Your vendor knows the tendencies of plastics, molds, and machines to save time, money and waste before you even start production. We can review and assist as you build a prototype design. In addition to cost and time, this can save both parties a headache during the production process. 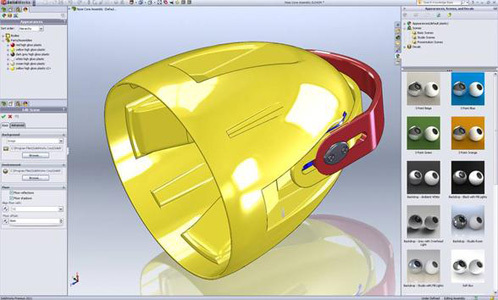 We exclusively use SolidWorks CAD software to review part designs. Having one standardized system for review helps us quote your project accurately and see potential problem areas before molds are made. 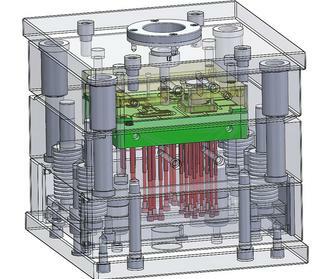 Designing and building a mold is very expensive. Once the building mold has been completed and the validation process started, making part design changes becomes very expensive. This is why it is invaluable to have an experienced eye review part designs before the prototype and mold are finalized. Can We Help You with Your Prototype?